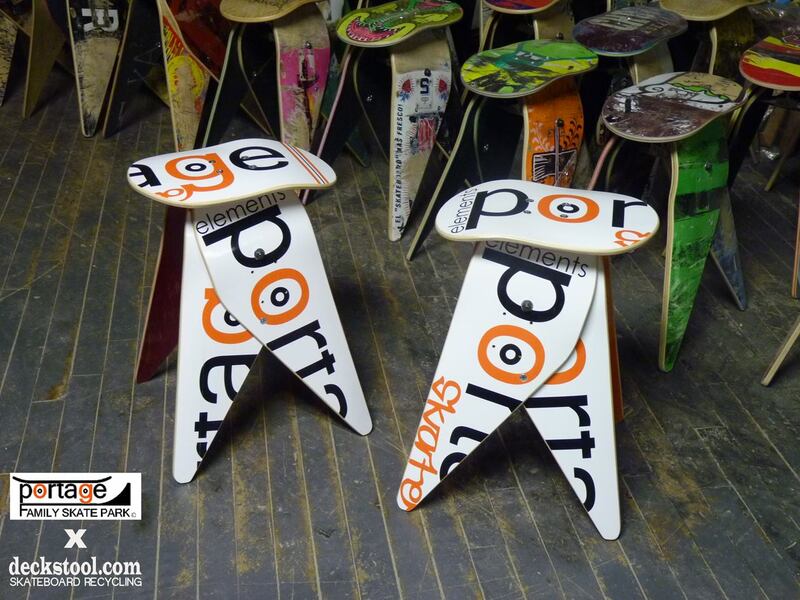 How would you like your chance to win a limited edition deckstool made of limited edition Portage Family Skate Park Decks? Well you can stop down to Prairie Flower Beads Portage at 210 West Cook st Portage, WI 53901 608-742-5900. Raffle tickets are $5.00 and are limited just like the prize. ONLY two exists in the world.